HAMILTON, Ontario — Keeping out of trouble throughout the 50-lap Frostoberfest feature paid off for A.J. Emms en route to a podium finish. Emm showed speed in qualifying, finishing second in the first heat, followed by a third in the second qualifier. Starting sixth for the feature, he remained there through the first five laps, despite a pair of cautions. He’d there until Lap 41, when he’d avoid an incident between two cars to move up to fourth. Restarting inside the top-five with 10 laps to go. he’d battle side-by-side with Jason Keen until the event’s fourth caution on Lap 44. He’d move into fourth solidly on the restart, getting alongside Keen for third with five laps to go. He would complete the pass a lap later, crossing the line in third-place. While noting he was fighting a tick tight condition through the feature, he feels missing a little bit of straightline speed kept him from chasing down the top-two. 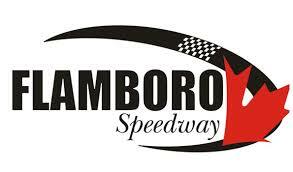 The next modified event for Emms Racing will be the Autumn Colours Classic at Peterborough Speedway, which Emms will enter confidence following a runner-up finish there in August. Emms Racing is proud to be supported by BAE Environmental, FMR Scrap Buyers, Artech Promotional Products, Klotz Canada, WIX Filters, Peter Built Racecars, TSS Top Shops, and Creecher’s Design for 2018. Fans are encouraged to stay tuned to the Emms Racing website at http://www.ajemms.com, as well as the team’s facebook page via https://www.facebook.com/ajemmsracing/.